Considering a career in professional styling? Love fashion, but not sure where to start? Don't miss your opportunity to attend a 2-day live intensive into the styling trade from the experts at Become A Stylist! Learn the roles and responsibilities of a personal stylist, how to shop for a profession, success strategies for stylists, how the power of style and image can positively impact a client's confidence AND how to curate your own stylist wardrobe, including what to BUY, what to CULL and what to COVET. Join keynote speaker and Australian Style Institute's founder and director, Lauren Di Bartolo as she shares her expertise and know how. Lauren is an industry leader and innovator, styling prominent individuals within TV, fashion and business. With a focus on the power of style to transform our perception of self and others, Lauren will teach you how styling can open up opportunities, make a difference and create a successful career. Secure your ticket to find out which styling career pathway is for you! 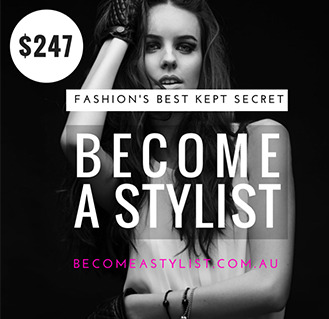 We are almost at capacity so register for your ticket at becomeastylist.com.au now!